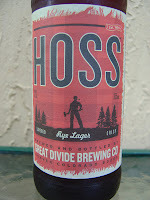 Tonight I'm drinking Hoss Rye Lager brewed by Great Divide Brewing Company in Denver, Colorado. The label depicts a woodsman with his axe and pipe in the woods, nice deep-red Phillies colors. The label also says Layered and Crisp.This Märzen was bottled on May 7, 2010. Rye and malty caramel aroma. 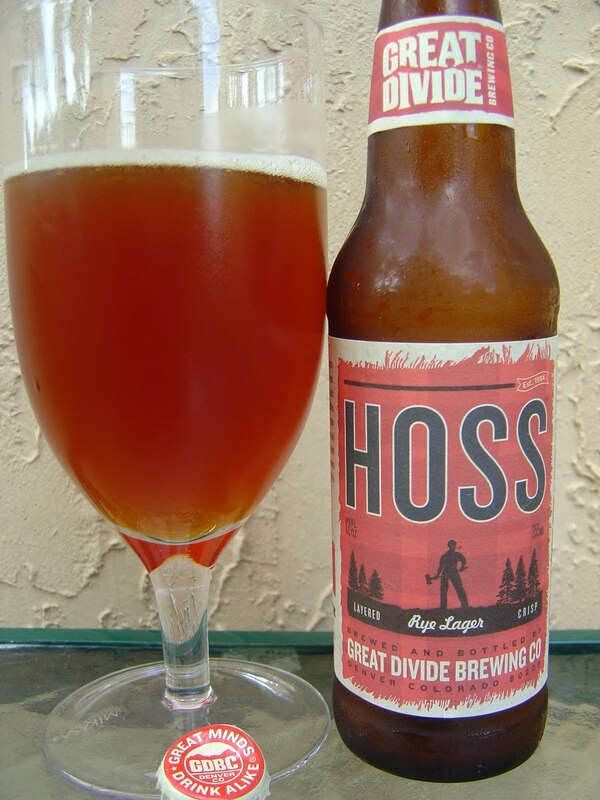 Deep caramel flavors start things off, very malty. A definite bread flavor is also prominent. 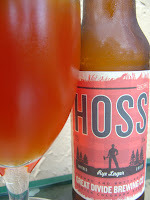 There are some faint dark fruit flavors and just a hint of spiciness, but that's about it. The carbonation falls flat, much too light! Relatively boring and one-dimensional. I remember really enjoying this the first time I had it around four months ago, but not this time. Thick body along with missing hops or spice or carbonation or something else equaled an unattractive beer today. That's it. I'll try it again some time for a tie breaker.